If you’re in a business where you need to mail your products to your customers, you use industrial packaging. Anything from beauty supplies like skin cream or hair care products to baked goods, candy, and apparel companies all benefit from an industrial packaging selection that gets their products safely into the hands of their customers. Paper Mart products cover a very wide range of industries, each with their own packaging needs and considerations. Fortunately, we make it easy to find everything you need all in one convenient location! No matter what your business is, we make it our business to get you the right packaging materials to support your brand, your service, and keep your production costs low. Sure, at first thought it may seem that one industrial packaging selection would be similar to the next, but when you’re looking to stand out from the competition, there’s more to it than just choosing the right sized box or the right color bag. You want your brand to pop, be recognized, and most importantly, support your brand. At Paper Mart, we allow you to have complete control over how your packaging. You are able to pick the font, the color, and the style you want. 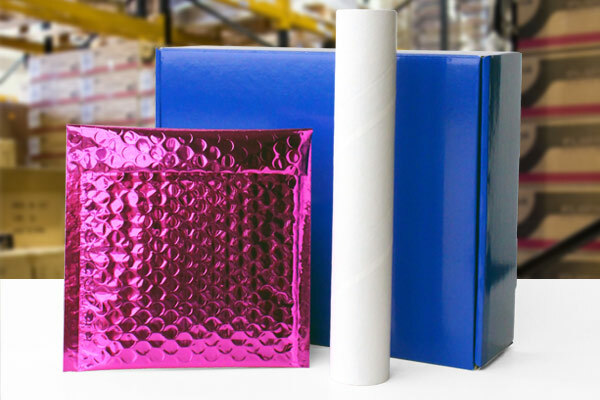 Whether you need Colored Metallic Bubble Mailing Envelopes to mail DVDs and informational inserts or Custom Printed Jewelry Boxes containing delicate items, every mailing product available from Paper Mart is fully customizable. All you have to do to get started is visit our Custom Design Page and begin creating! Paper Mart also makes it easy to find your exact shipping materials by providing a massive selection. Just about everything you could think of is in stock right here in a variety of colors and sizes. Take a look on our site and you’ll see how detailed you can get when creating eye-catching personalized packaging. In fact, we offer over 26,000 items at wholesale pricing every day! We maintain our gigantic selection within a state-of-the-art 10-1/2 acre facility. That’s over 450,000 square feet of inventory! Our merchandise occupies hundreds of thousands of square feet of storage and rack space, reaching over three stories high. Decades of industry experience are reflected in our inventory and fulfillment process. We optimize speed and efficiency to fulfill your orders promptly and accurately. Paper Mart takes pride in constantly improving upon an operation that delivers customer satisfaction above all else. This is reflected in everything from service and selection, to pricing and delivery. We have a vast industrial packaging selection of boxes and bags, including many unique or specialty items. It’s hard to imagine, but Paper Mart stocks over 10,000,000 boxes and 100,000,000 bags! 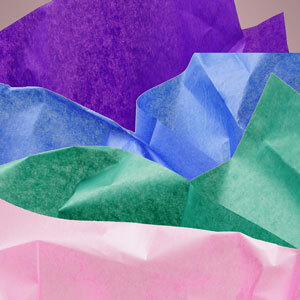 We also stock more colors and styles of items such as gift boxes, tissue paper, and ribbon, than any other company. Nearly everything we offer on our website is kept in stock at all times. With the exception of custom items and direct-from-factory gift wrap. This allows orders to be filled quickly and typically ship the same day it’s placed. We understand that the faster you receive your industrial packaging materials, the sooner your customers receive your product! Paper Mart is happy to offer all your staple industrial items like Standard Corrugated Cartons, but we have so much more! You can choose from Tuck Top Corrugated Mailing Boxes, Colored Corrugated Mailing Boxes, Cap Top Gift Boxes, or even Wire Handle Boxes! 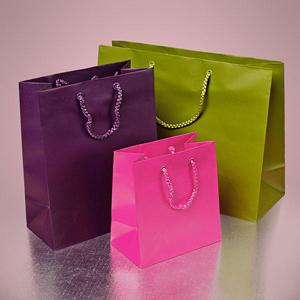 If a plain plastic bag doesn’t embody the flair you’re looking for, add some pizzazz to your package with a Euro Tote, Party Favor Bag, or a Custom Printed Bag. We have industrial packaging for just about any type of food-related items including Clear Lid Candy Packaging for showing off sweets, Flat Take-Out Boxes for deli items, and even a wide variety of wine bags, fit for nearly any occasion. If that’s not enough, we also have a comprehensive selection of everyday shipping supplies from tags, labels, and shipping paper, to carton staples, twine, and plastic wrap. Almost anything you can think of to enhance your packaging materials can be found right here at Paper Mart! So, what makes Paper Mart special aside from a huge industrial packaging selection at wholesale pricing available to the public? Our website automatically discounts your bulk orders! That’s right. Anytime you order more than the threshold amount for each category, (typically $300 per category), your price immediately drops by 15-20% in your cart! If you’re a high-volume buyer of industrial packaging supplies, you’ll save even more! For example, purchases over $2,000 of any one item are eligible for even lower unpublished deep discounts. With Paper Mart, the more you buy, the more you save! Just fill out a Quote Request Form, and we’ll e-mail you a confidential quote, usually within the same business day. Paper Mart has been providing affordably priced packaging options for nearly a hundred years. We pride ourselves on offering high-quality packaging that protects your products and supports your brand. Find the box, bag, or basket that fits the needs of your business and stock up on your packaging supplies all in one spot. Also, with our Satisfaction Guarantee, you have 30 days from the time you receive your order to return it if you aren’t completely satisfied. For industrial packaging needs and shipping accessories that fit your style, look no further than Paper Mart!